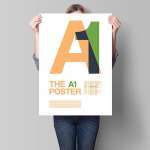 Consequently Alert Printing team will actually help you to design & Print your A1 Poster to ensure that it is as professional as possible. Likewise, standards are exceedingly obvious and require altered printing. This open introduction implies you require the best creation available. Hence, to breath life into your thoughts, it is essential to have a committed group to help design and print your large posters. We Also offer other sizes like A0, A2, A3 & Custom size. Because these large format posters are printed on high quality paper probably on a photo paper that can be used for presentations and exhibitions backdrop, making advertising at your business easy. The size “A1 i.e. 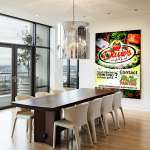 594 mm x 841 mm” display is highly visible so customers can be alerted to your display and product in mind. Finally, set-up requires no time at all or tools, making this the perfect display for company presentations, retail stores, shopping centers, or even trade shows. Also offering Custom Poster sizes for our customers. Above all we beat prices by 5% guaranteed. Almost Free delivery within Sydney CBD. Hurry up! 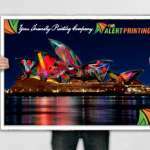 Get the high class digital printing at very affordable prices. Furthermore, we are the only printer people love for the reason that we work as people want. Similarly we have smooth customer service process which bounds our relationship with our customers.